Sixty-seven diamonds ranging from just under 1 carat to more than 100 carats will be known forever as the legacy of Lesedi La Rona, the 1,109-carat gem-quality rough diamond that was discovered at the Lucara Karowe mine in Botswana in 2015. 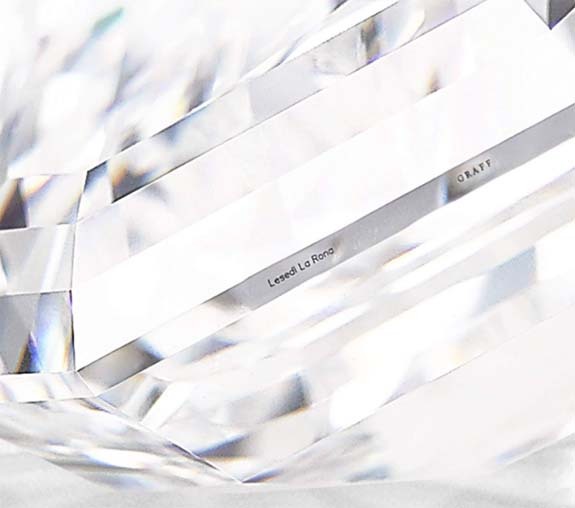 Graff Diamonds noted Monday that after more than a year of detailed analysis, cutting and polishing by its elite team of gemologists and master craftsmen, the first 67 stones were ready to be revealed. The company also dropped a teaser that “a principal diamond of unprecedented size” was still in the works. All of the Lesedi La Rona diamonds boast a D-color and “exceptional clarity,” according to the company. In addition, each stone will be laser inscribed with the words “Lesedi La Rona” and “GRAFF” alongside a Gemological Institute of America identification number. 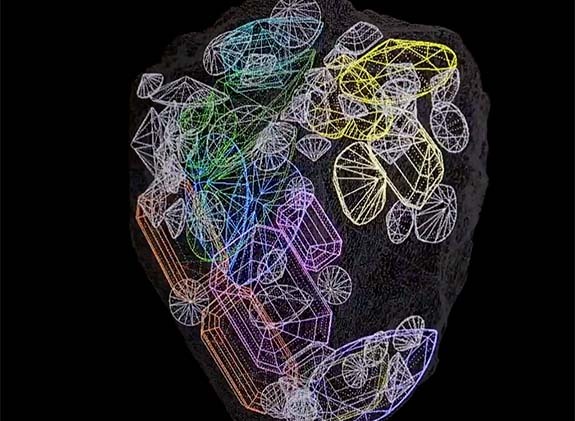 On its website, Graff Diamonds demonstrated the intricate three-dimensional mapping used to maximize the yield from the massive rough diamond. Once cut and polished, the first 67 Lesedi La Rona finished diamonds were incorporated into beautiful jewelry, including solitaire rings, earrings and pendants. Graff said the jewelry represented a once-in-a-lifetime opportunity to own a piece of diamond history. “Destined to be passed down through generations, the legacy of this historic stone will live on in this truly remarkable collection of jewels,” noted the website. 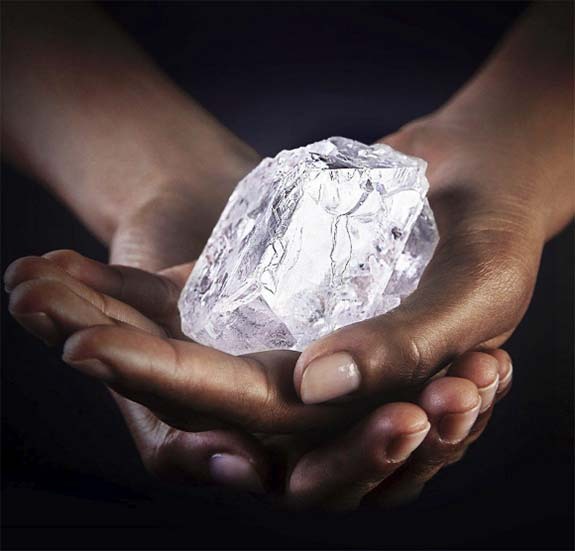 Despite its original size of 1,109 carats, Lesedi La Rona was nearly 2,000 carats smaller than the Cullinan diamond, which was discovered in 1905 and tipped the scales at 3,106 carats. Graff also owns the 373.72-carat chunk that broke off the Lesedi La Rona during the mining process. That piece, which was purchased for $17.5 million, has yet to be processed. Credits: Images courtesy of Graff Diamonds. Screen captures via graffdiamonds.com.